Glow-in-the-dark! 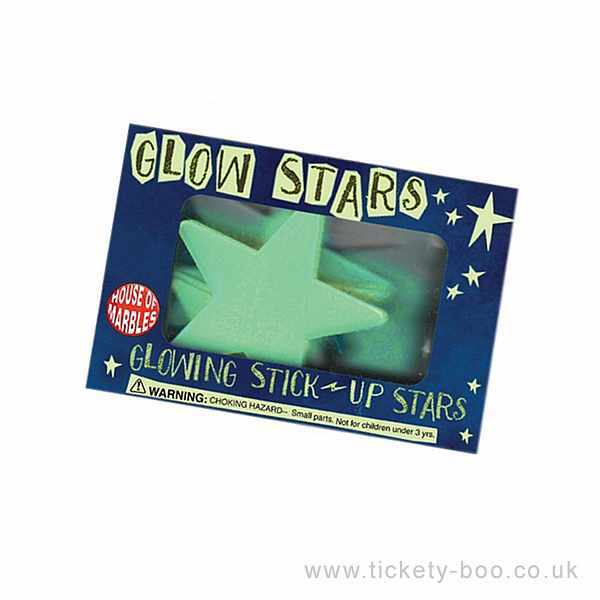 Cover any ceiling or wall with these glowing stick-up stars, perfect for little stargazers. 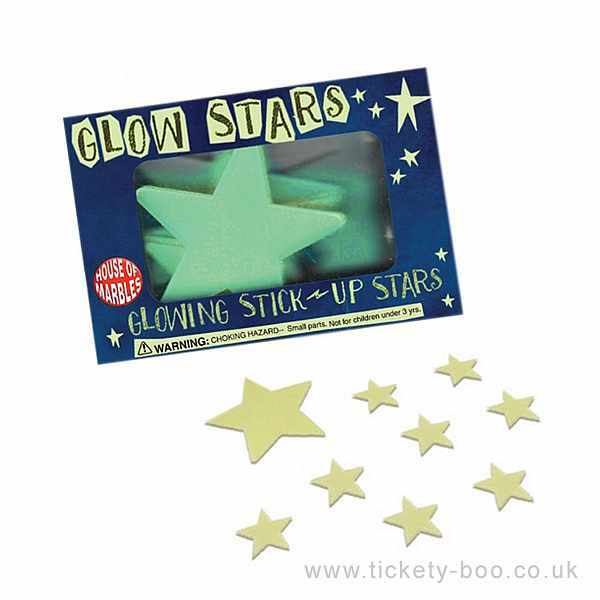 Just expose the stars to daylight and watch them glow during the night! Each set comes with 8 stars, 4 big and 4 small. Stickers provided for attaching stars to your intended surface.